But instead of the picture actually reflecting the land hijacked to make the ‘national monument’ he uses a pic of the wrong area, Arches National Park. 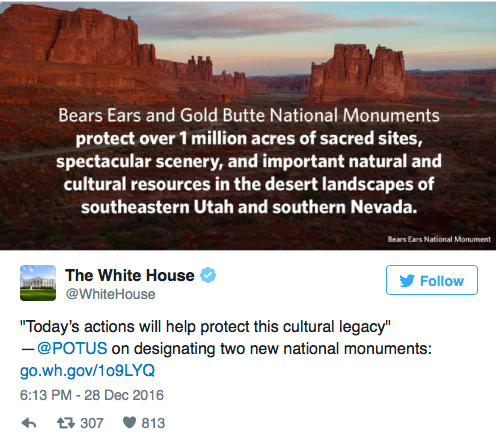 As Jason Chaffetz noted, Obama didn’t consult him or anyone else in Utah for their approval or their concerns about taking the land. The problem of the Federal government taking private and state land has exploded under Obama, and this is just the latest example.